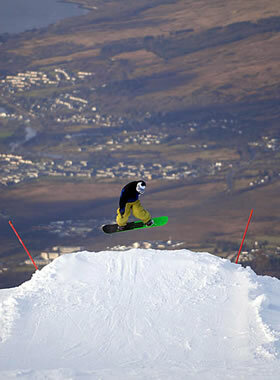 Fort William is the Outdoor capital of the UK with many activities for all ages. The UCI Mountain Bike World Cup is held annually at Nevis Range. The Caledonian Canal can be found 3 miles north of Fort William and there you will see the wonder of Neptunes Staircase and also one of the best views of Ben Nevis to be found. 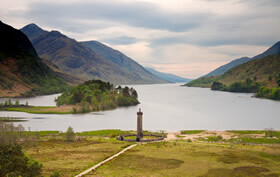 A 12 mile drive further on from there you will find yourself at Glenfinnan with its monument and world famous Viaduct. Visit tranquil Glen Nevis to see some of the background used in movies such as Braveheart and Robroy. 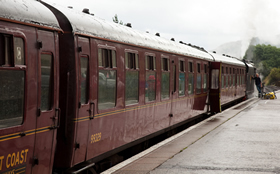 Take a trip down memory lane on the Jacobite Steam train that runs from Fort William to Mallaig. Go monster spotting on Loch Ness which is only 30 miles from Fort William. If the weather is not favourable why not visit the West Highland Museum or the Clan Cameron Museum, Treasures of the Earth or the Ben Nevis Distillery. Nevis Range where you will find activities throughout the year ranging from Mountain Bike Trails (including the World Cup Downhill Track) to the Highwire adventure courses and Forest Walks with lots of Scottish wildlife to be seen. The Mountain Gondola will lift you an amazing 2150ft up Aonach Mor (the eighth highest mountain in the UK) to the midway point, from there you have spectacular views for miles around reaching out to the Western Isles. You can also take a short walk to one of the scenic viewpoints for an even better look. In the winter you can have fun with Sledge, Ski and Snowboard on the vast array of Ski runs to suit all abilities. 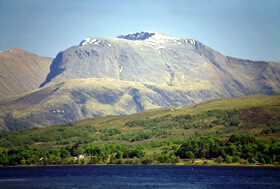 The views from the summit looking over to Ben Nevis are breathtaking. For more inforamtion visit: www.nevisrange.co.uk. 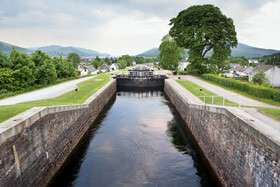 The Caledonian Canal stretches from Corpach Basin to Inverness, a wonderful place to explore for locals and tourists alike, either walking or going by bicycle or on the water itself, the canal offers spectacular scenery and should not be missed out when you visit Fort William. Neptunes Staircase is one of the main features of the canal, this is a series of 8 locks that raises the vessels to a height of 70ft above sea level over a distance of 500 yards. Situated on the Road to the Isles, Glenfinnan is a must see for visitors, it’s the place where Bonnie Prince Charlie begun the Jacobite uprising, in 1745,there is a monument to mark this occasion on the shores of Loch Shiel. Glenfinnan Visitor Centre and Museum is nearby, also under the shadow of the Glenfinnan Viaduct, famously used in the Harry Potter movies. The steam train runs between Fort William and Mallaig twice a day from May through until October. For fans of Harry Potter this train is also known as the Hogwarts Express, as it appeared in the movies. Why not combine a trip on the steam train with a trip to Mallaig and enjoy the spectacular scenery along the route, taking in the beautiful white sands of Morar. For more information visit: www.westcoastrailways.co.uk/jacobite. Glen Nevis also offers forest walks and trails, a visitor centre which is used as a starting point for the footpath to Ben Nevis. You can choose to visit the West Highland museum situated in Fort Williams high street, we also have the Clan Cameron Museum at Achnacarry, Treasures of the Earth is 4 miles away round the shores of Loch Linnhe or visit our local Ben Nevis Distillery and treat yourself to a wee dram. We have the Nevis Centre where you can try your hand at Ten Pin Bowling or attend a show in the evening.